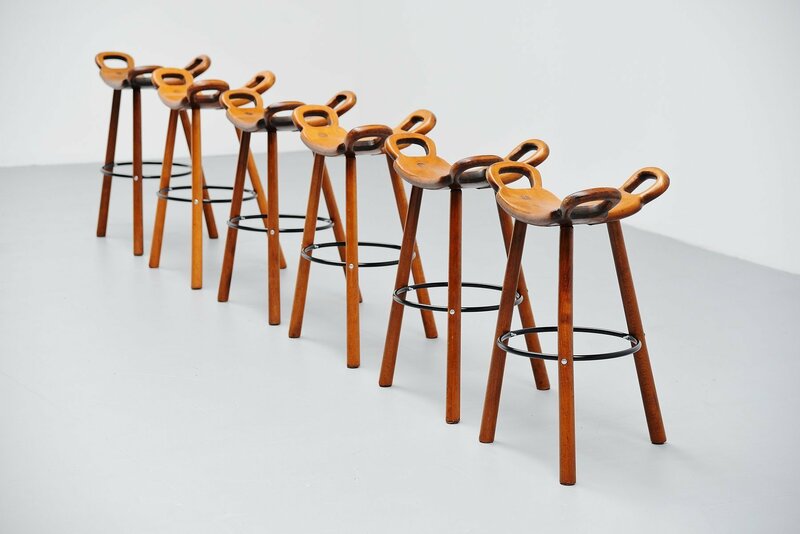 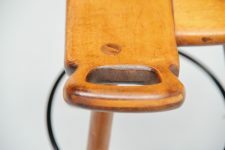 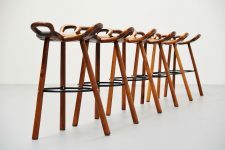 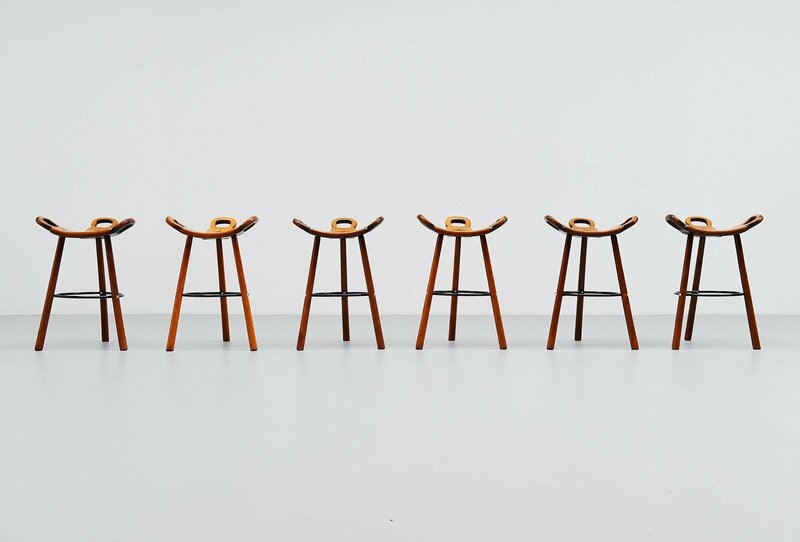 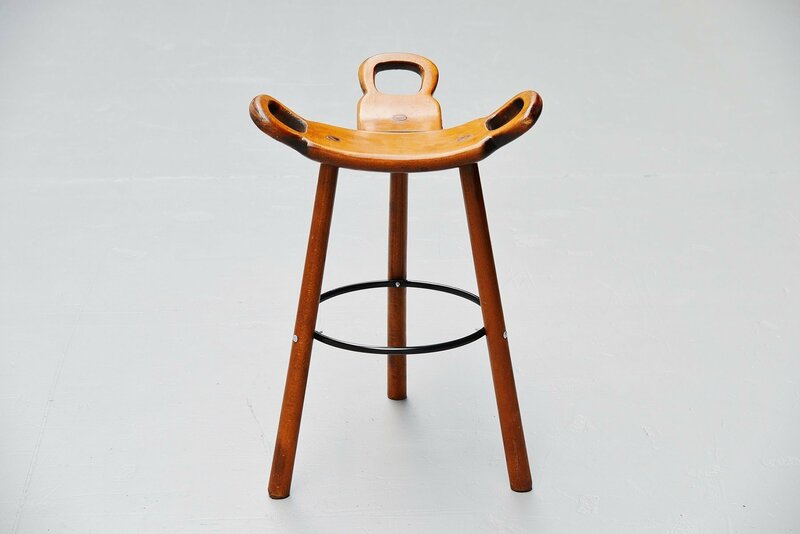 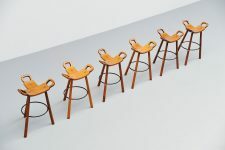 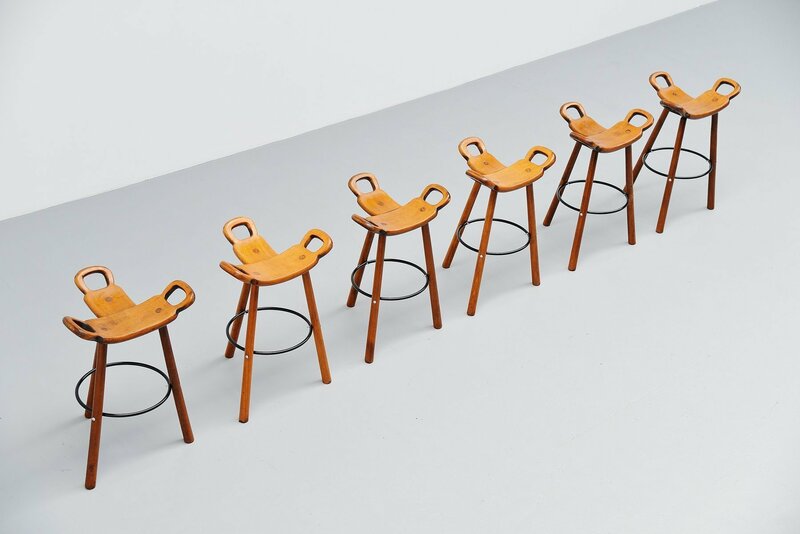 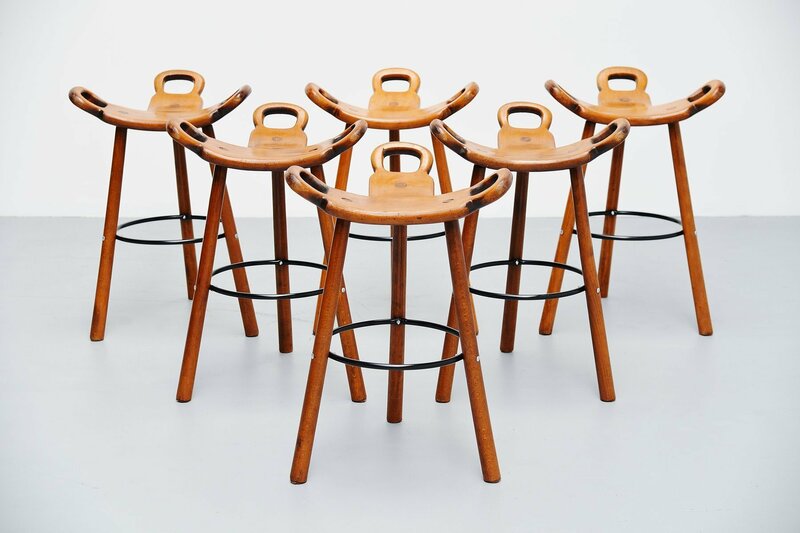 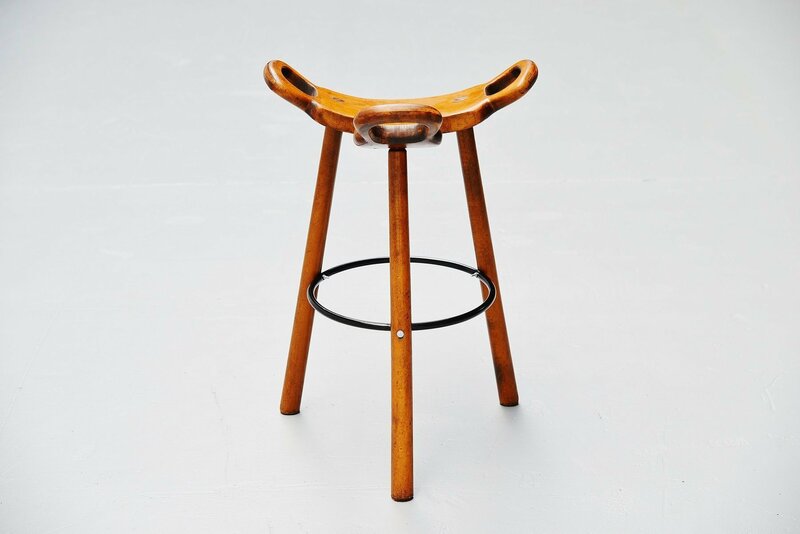 Very nice set of 6 bar stools attributed to Carl Malmsten, Sweden 1950. 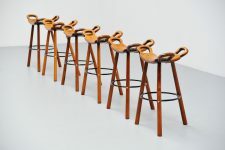 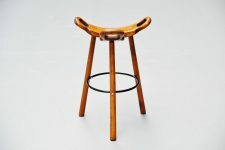 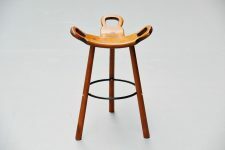 These stools are very nicely shaped and made of solid birch wood, dark stained. 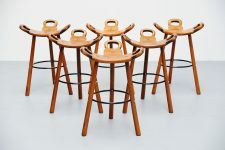 The stools have a black metal supporting foot rest ring. 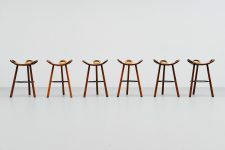 These stools are in original condition and show some wear from age and usage. 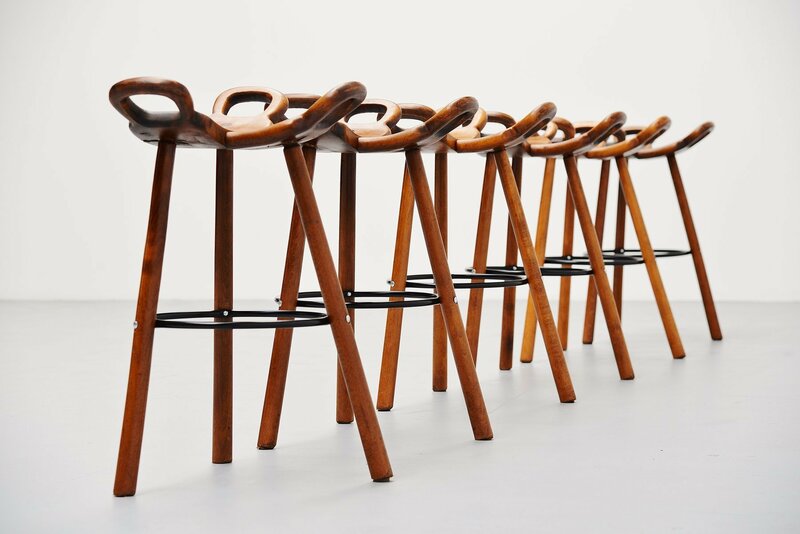 But they are still very sturdy and seat very comfortable.